It’s no secret that retailers, distributors and manufacturers need to find new ways to meet consumers’ changing expectations in the luxury and fashion markets. 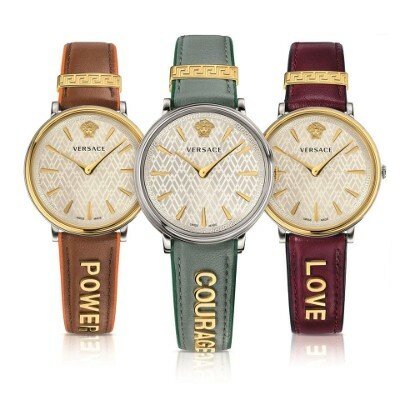 These changes in consumer behavior led Paolo Marai, president and CEO of the Timex Group Luxury Division, which manages the timepiece business for Salvatore Ferragamo, Versace and Versus Versace, to appoint the MadaLuxe Group as its U.S. and Caribbean distributor. This new arrangement was actually announced in January but the two companies have spent almost a year formulating a strategy before truly making the partnership known in November. It’s a multi-tiered approach that ultimately focuses on the in-store experience for consumers. “We started in January but we really wanted to have a kind of honeymoon period and develop an understanding of the way we need to work and the way we need to develop and that’s why we decided not to make it a big event in the very beginning. Let’s work a few months together and get a really strong team,” Marai said in a recent interview. The companies have spent this year hiring people in management roles experienced in both the fashion and the Swiss watch industry, including people who used to work with Fossil, Burberry, Tom Ford and Tag Heuer. They are working on sales training, product pricing, inventory management at the store level, in-store displays and after-sales service that are all uniform in the experience they provide. It’s not an easy task as the watch brands are sold in department stores, independent specialty stores and in branded boutiques. So relationship building is vital for this effort to be successful.